In the late ‘70s, the electronic experimentation of Germany’s krautrock scene made its way across the sea to England. Andy McCluskey and Paul Humphreys were but two of the many musicians to add the hum and buzz of newly developed technology to produce what would later be haphazardly lumped together under the banner of synthpop; a rather generic name that homogenizes what was actually a new, very diverse and exciting form of music. Humphreys and McCluskey, working under the moniker Orchestral Manoeuvres in the Dark, were at the forefront of a British scene that included the likes of Gary Numan, Depeche Mode, Soft Cell, New Order and The Human League. The duo’s debut single, “Electricity,” foreshadowed the band’s frequent references to technology. The band’s ethos would expand to include historical references and eventually a penchant for bittersweet love songs that won over America as their popularity in Europe started to wane. Their first three albums saw the band growing more and more popular with each release. Everything changed with the release of their fourth album, Dazzle Ships. Whereas the first three albums had been pop songs with experimental leanings, Dazzle Ships moved further away from the standard pop formula and saw the group losing the mainstream audience that they had been cultivating. As a result, the following releases became increasingly conservative and made them frequent visitors to the music charts in America. Don’t get me wrong—there are fantastic songs to be found on Junk Culture, Crush and The Pacific Age. It was during that period that I was introduced to the band, but the raw energy that fueled their earlier releases was polished away. For some of you, this history lesson is redundant, but its significance cannot be overstated. It is difficult, if not impossible, to listen to The Punishment of Luxury without referencing the past, not because the album is built upon a foundation of nostalgia, but because it feels like the album that Humphreys and McCluskey have been trying to make for decades. It balances the more experimental aspects of their early catalog with the pop sensibilities that made them popular in America. 2010’s History of Modern, the first new material from the band after McCluskey and Humphreys reformed the classic lineup with Malcolm Holmes on drums and Martin Cooper on keyboards in 2006, found the group producing a fine collection of pop songs. It was the group’s most concise and inspired album since 1983, but some critics found the album to be too conventional. They wanted a radical reinvention or an album that sounded just like 1981’s Architecture & Morality. They need only wait for 2013 when OMD returned with English Electric, an album that was universally praised as the group’s best album in decades. It’s a fantastic album, but The Punishment of Luxury is more adventurous, as it finds the group further exploring their experimental tendencies and meddling with darker undercurrents while retaining a sound that is distinctly their own. The album opens with the title track, a brooding critique of modern greed wrapped up in a shimmering package that sounds incredibly euphoric despite itself. It’s quite possibly the most pleasant condemnation that you could ever imagine sing along to—an obvious single. However, “Isotype,” the lead single and second track, is anything but an obvious single. 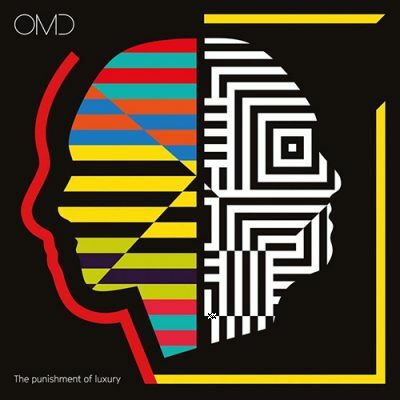 Clocking in at over six minutes, the song is a condensed tour of OMD’s various phases and a microcosm of what makes The Punishment of Luxury album work as a whole. It almost serves as an overture with its soaring synths, bubbling electronics, samples pulled from a lazy science teacher’s video collection and a tiny pop song squeezed in for those who despise instrumentals. “Robot Man” features a distorted drone reminiscent of post–Alan Wilder Depeche Mode with McCluskey’s vocal transcending the buzz and pulse to deliver a song about heartless robots. It feels like the theme song to a post-apocalyptic morality tale. This leads into a trilogy of slower songs “What Have We Done,” “Precision & Decay” and “As We Open, So We Close.” On the surface, “What Have We Done” is a more traditional ballad, but lyrically, there’s a sense of resignation and exasperation that goes against the wistful tone of the music. “Precision & Decay,” a brief instrumental, hearkens back to the group’s bass guitar and analog keyboard roots before moving into “As We Open, So We Close,” a downtempo electro cut that plays as a lullaby, love song and a surrealist’s nightmare. Things speed up considerably for “Art Eats Art,” a strange expedition with vocoderlaced vocals layered within bouncing electronics and the trademark souring synths. In my head, it’s the strange love child of Art of Noise and Falco. “Kiss Kiss Kiss Bang Bang Bang” is another slow number that turns sinister before finding a higher octave—minimalistic, but fairly effective. “One More Time” is a love song for pessimists, the melancholic plea of a cynical romantic that recalls emotional undercurrent of “If You Leave” without the cinematic production. “La Mitrailleuse,” a dark interlude that suggests that the listener, “Bend your body to the will of the machine” before gunfire and military drums lead into “Ghost Star,” another six-minute journey filled with jungle sounds, reflective lyrics and a minimalistic electronic arrangement. The album closes with “The View from Here,” a ballad that threatens to push the album’s mood back toward its brighter and more upbeat moments before slipping back into melancholy.